Long-term disability benefits make a huge difference in the lives of many. These benefits allow them to receive the assistance that they need to lead a fulfilling life in the wake of a disabling injury or illness that leaves them unable to work. There are specific guidelines that determine how much a person receiving disability benefits should be paid each month. As a person’s situation changes, it can affect their monthly payment. A person may inadvertently find him or herself being paid more than he or she is qualified to receive. The process of managing your long-term disability benefits can be a confusing experience. Having the advice and experience of a long-term disability lawyer can make a positive difference for your financial well-being. 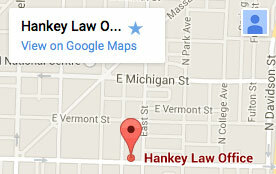 Please contact the Indianapolis long-term disability lawyers at the Hankey Law Office by calling (800) 520-3633. These decisions can be appealed and should be considered with the experienced and knowledgeable aid of an attorney. Please contact the Indianapolis long term benefit lawyers at the Hankey Law Office by calling (800) 520-3633 for more information about your legal options in the case of an overpayment.